Oasys is a leading manufacturer of highly innovative plastic card production machinery. The company provides a range of automated card production systems for small, medium or high volume production of bank / credit cards, smart cards and contactless cards, EiD Passport dtapages and Identification / Driving Licence cards. Dedicated to using the latest technology, Oasys offers a range of high quality systems and machines which are built to match the needs of modern plastic card production ensuring flexibility, quality of product, maximum yield, ease of use and minimum maintenance. Oasys provide equipment for the card production stages of Tapelaying, Collation, Lamination, Punching, and Guillotining. Oasys has a wealth of experience, built up over the last twenty years in production technology for high quality plastic cards, and Electronic ID products, we supply equipment to over 40 countries worldwide and currently export over 90% of our products. 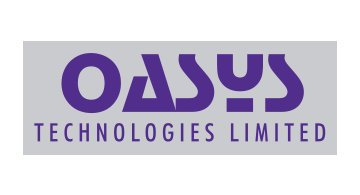 From their “Card Technology Centre” in the UK Oasys provides a complete technology package of training, information and support for their clients. A network of approved agents covers the commercial centres of the world and provides essential back-up to customers, supported by a first class Oasys service team based in the U.K., U.S.A. & Asia.